Limericks Bill Kurtis reads three news-related limericks: May-No, Pocket Pocketbook and Weed Eater. Bill Kurtis reads three news-related limericks: May-No, Pocket Pocketbook and Weed Eater. Coming up, it's Lightning Fill In The Blank. But first, it's the game where you have to listen for the rhyme. If you'd like to play on air, call or leave a message at 1-888-WAITWAIT - that's 1-888-924-8924. 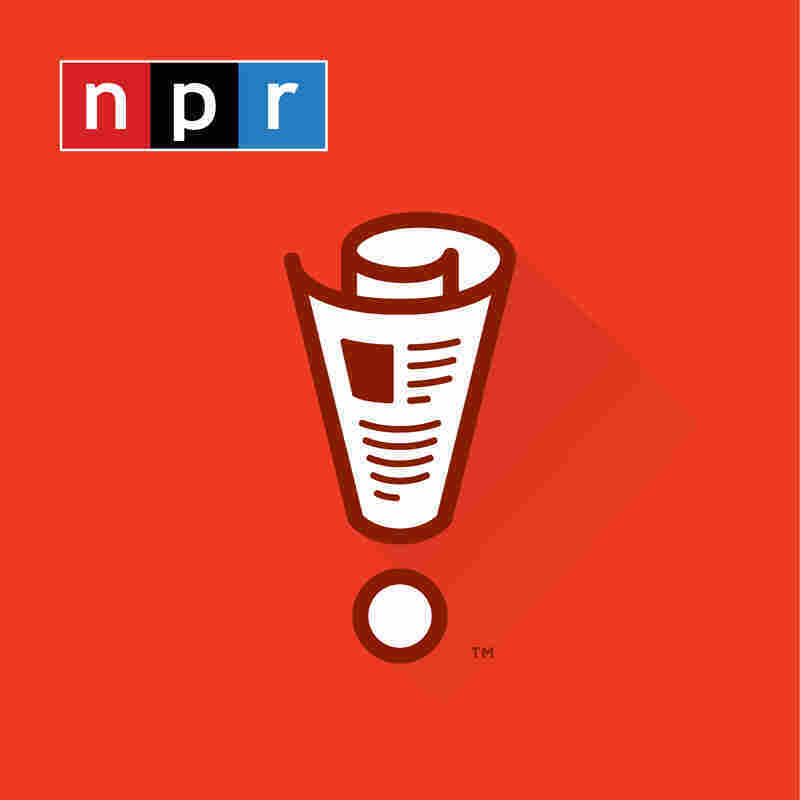 You can click the Contact Us link on our website, waitwait.npr.org. There you can find out about attending our weekly live shows here at the Chase Bank Auditorium in Chicago. And be sure to try out our new interactive quiz for your smart speaker. It's updated every Wednesday. Just say, open the WAIT WAIT quiz. And you'll get your chance to prove how smart you are and win your chance to get the voice of your choice on your voicemail. Hi, you're on WAIT WAIT... DON'T TELL ME. RACHEL VAUGHN: Hi. My name is Rachel Vaughn. And I live in Des Moines, Iowa. SAGAL: How are things in Des Moines, Rachel? VAUGHN: They are cold and snowy. SAGAL: Yeah, it's been like that. VAUGHN: As per uzhe (ph). SAGAL: As per uzhe. Are you asking yourself why you live there as we do here in Chicago? VAUGHN: Kind of every day. SAGAL: Well, now that we've made ourselves depressed. SAGAL: ...In that last word or phrase correctly in two of the limericks, you will be a winner. You ready to play? SAGAL: You may remember Mayochup, the mayonnaise, ketchup combination. It was a huge hit when it was released last year with mayo fans begging Heinz to keep mixing all the goos together, please. Our prayers have been answered with Mayomust - shorthand for mayo must be the reason I had a heart attack. ADAM FELBER: The original failed title was mayo turd. SAGAL: They're also making a barbecue sauce, mayonnaise hybrid called Mayocue and an antacid mayonnaise hybrid, called Mayo Clinic. PETER GROSZ: There's also, like, peanut butter and jelly that are in the same jar. SAGAL: Mixed all together, yeah. GROSZ: I think there's like a novelty in like, you know, two steps now one. GROSZ: Fifty percent of your time is gone. SAGAL: Throw cheese at your baby. SAGAL: Pretty soon, they'll be selling babies with the cheese already on them. FELBER: I want to throw cheese at my baby, but who has the time? SAGAL: Micro purses are the big small breakout star of Paris's fashion week. They're exactly what they sound like - a purse so tiny, it can fit in the palm of your hand. They're only 2 inches long. And they aren't big enough to hold cash or a credit card, which is fine because at $520 a pop, you won't have any money left anyway. SAGAL: So you've got this thing. Like, you got the models with that sort of stoic expressionless face. And they're walking down the runway. And they're holding the handles with just the tips of their fingers. Their finger diets finally paid off. According to influencers, the only challenge is finding a toy poodle small enough to ride inside. But no problem, a pet cockroach fits nicely. GROSZ: Is this a new story? SAGAL: If you've ever really looked at pot humor - I mean really looked at it - you'll find endless jokes about the munchies - supposedly, the pot-induced urge to eat lots of junk food. But now science has spoken. Munchies are real. SAGAL: A study found that states where pot has become legal have a 5 percent increase in the sales of ice cream, chips and cookies. GROSZ: I think the science was in when every single person I knew gained 20 pounds freshman year of college. FELBER: From the Domino's institute of weed technology. GROSZ: Bill, how did Rachel do on our quiz? KURTIS: Well, she did great. She is the champion. SAGAL: You got all three right.